Regenerative medicine (RM) is a game-changing area of medicine with the potential to bring products that incorporate a viable cellular component intended to repair, replace or restore diseased, damaged or missing tissues into the marketplace. However, because most RM products represent breakthroughs in medicine, they also represent a real challenge for the major international regulatory and reimbursement authorities making regulatory decisions regarding RM. In response, regulators increasingly rely on Regulatory Science (RS), which refers to the development of tools and standards necessary for predicting, evaluating, and determining, fairly and promptly, the quality, efficacy, and safety of novel therapies. Major regulatory agencies all use the term regulatory science, but have assigned different priorities for its implementation and employ different methods for utilising it, particularly with regard to RM. Without some determined intervention in the next few years to harmonize RS approval pathways and risk assessment parameters for RM products, the resulting scientific, regulatory, and funding uncertainties will continue to delay advances in this promising field. Despite the scientific advances and progress in medicine, there are only a few effective ways to treat the root causes of many injuries and diseases especially age-related diseases. Regenerative Medicine (RM) has the ability to repair and regenerate tissues and organs damaged by injuries, diseases, or the natural progression of age. These therapies have the potential to treat a wide range of degenerative disorders, offering solutions and hope for people who have conditions that today are beyond repair. There has been a significant progress in both basic and applied research of regenerative medicine, including cutting-edge technical innovation and great scientific discovery. The Asia-Pacific (AP) region is active in regenerative medicine research particularly in cell therapy, gene therapy and tissue engineering. The AP region is comprised of a large number of countries, including Indonesia, Malaysia, Philippines, Singapore, Thailand, Vietnam, China, Hong Kong, Taiwan, South Korea, Japan, Australia, and New Zealand, which offer the potential for scientific achievements for new therapies. The main healthcare drivers for this region are the ageing population, transplant needs per organ donation statistics, and the emergence of personalised medicine. The unmet needs are driving the research for RM technologies, not only for health reasons but also for economic ones. In Japan, there are more than 4.6 million people living with Alzheimer’s disease, and by 2050, the socio-economic cost of Alzheimer’s disease will be greater than the Japanese government’s annual income unless the disease becomes preventable. RM technologies have the potential to alleviate these healthcare burdens. RM research has reached the point where there are now many available and advanced techniques that have shown evidence of efficacy hinting at a large potential market for these products. However, countries in the AP region are going through different stages of RM development and vary in regulations for approvals. Advancement of more consistent RM regulation policy and establishment of standards for RM products and their clinical application will facilitate technology development in the future. Because most RM products represent breakthroughs in medicine, they also represent a greater challenge for regulatory and reimbursement decisions. In response, health and pricing authorities increasingly base their decision-making on Regulatory Science (RS), which refers to the development of new tools and standards necessary for evaluating the quality, efficacy, and safety of novel therapies. RS is beginning to influence the approval processing in the AP region to help advance these therapies into the market. In order to further overcome these regulatory differences for cellular and gene therapies, international regulatory efforts have been made to “harmonise” and several groups have been formed to create these efforts (See Table I). ‘Harmonisation’ can refer to a convergence of regulatory perspectives that informs the independent development of national guidelines and regulations, while ‘regulatory convergence’ can be used to describe interactions that generate a shared regulatory perspective but do not have the explicit goal of production of a consensus guideline. One of the groups, Regulators Forum Cell Therapy Group (RFCTG), was created for information sharing as well as to work towards convergence or harmonisation of regulatory approaches for cell therapy products. Regulators Forum Gene Therapy Group (RFGTG) has the same purpose as RFCTG but with focus on gene therapy. Another major group is the Asia-Pacific Economic Cooperation (APEC), which was established in 1989 to promote and facilitate trade within its members. Members of APEC are also involved in Life Sciences Innovation Forum (LSIF), which consists of people from government, industry and academia. Its purpose is to create a policy environment for life sciences innovation. For example, there was an APEC/LSIF workshop in July 2011 on Stem Cell Quality Assurance (QA) and Quality Control (QC) in Bangkok, Thailand that recorded the participation of 13 countries. The goal was to bring together a group of stem cell leaders from corporate, academic and government sectors to discuss and develop a regulatory framework for QA/QC aspects with respect to stem cell therapy products. In 2009, the LSIF started the Regulatory Harmonization Steering Committee (RHSC) to further promote harmonisation activities. APEC / LSIF / RHSC continued their efforts with the acceptance of the new priority work area in 2012 to ‘Promote Regulatory Convergence for the Regulation of Cell and Tissue-based Therapies.’ The short-term goals are to establish a harmonised understanding of cell and tissue-based therapies in order to design training programs while the long-term goal is to stimulate prospective convergence of technical requirements. Hopefully, with the next steps of international regulatory convergence and the implementation of regulatory science, the regulatory environment will enhance the development of safe and effective RM products. Currently, the AP region is starting to receive and approve cell and gene-based therapies (see Table II). Around the world, companies have faced setbacks while pushing uphill to bring treatments to the marketplace. Even in the US, where the overall innovation environment has usually been the most favourable, Geron Corp., which started the first nation-approved trial of human embryonic stem cells, ended the program in 2011, citing research costs and regulatory complexities. The RM regulatory environment is more complex in the AP regions because of variable levels of scientific achievement, technical development, and regulatory infrastructure as well as differences in market access, polices, and procedures. There are currently two cancer gene therapy products that have received market approval in China. In October 2003, the State Food and Drug Administration (SFDA) of China approved Gendicine, the first gene therapy product. It was developed by Shenzhen SiBiono Gene Technology Co Ltd to treat Head and Neck Squamous Cell Carcinoma (HNSC). In November 2005, the second gene therapy to be approved was Oncorine, which was developed by Shanghai Sunway Biotech Co., Ltd for the treatment of head and neck cancer. These approvals put China on the map of RM research. China has also made considerable progress in basic research for stem cells and attracted the most patients for stem cell treatment worldwide. Since 2002, the Chinese government has provided research funding, such as that from the National Basic Research Program of China, National High Technology Research and Development Program of China, and National Natural Science Foundation of China, to support research on stem cells. However, the therapeutic market for stem cell applications is not mature enough in China, resulting in a lack of large-scale market-oriented stem cell-based products. China has now been closely monitoring stem cell clinical trials to responsibly manage and drive rapid development of stem cell therapies in China. In 2011, the South Korean Food and Drug Administration approved the sale of Hearticellgram-AMI that was developed by FCB-Pharmicell Inc. for myocardial infarction treatment. It is also the first therapeutic stem cell drug approved for marketing by a government. In January 2012 Caristem was approved to be marketed for the treatment of knee cartilage defects such as traumatic articular cartilage, degenerative arthritis and rheumatoid arthritis. In July 2012, Cupistem was approved for marketing. Cupistem was developed by Anterogen for a mesenchymal stem cell treatment to reduce inflammation and regenerate damage joint tissues, indicated for the treatment of Crohn’s fistula. The approvals of these therapies especially Hearticellgram-AMI, indicates that therapeutic stem cells have been recognised as a drug for regenerative medicine. It also brings into focus South Korea’s regulatory infrastructure based on adaptive licensing and conditional marketing approvals. These approaches allow a stepwise learning of gathering data for regulatory re-evaluation, which allows commercial sale in certain instances while trials are underway. This approach has recently led to the approval of Herticellgram-AMI and the world’s first allogeneic, off-the-shelf MSC-based product, Cartistem. The country’s Ministry of Health and Welfare is continuing to expand the support for clinical research on stem cells in order to see that the basic research reaches clinical studies. In 2012, the South Korean health ministry provided 33 billion won (US$29 million) for research into stem cells and regenerative medicine. The South Korean health ministry is committed to boosting RM research as well as monitoring responsibly to protect the public. In 2012, Osiris Therapeutics received approval for its first-in-class stem cell therapy Prochymal (remestemcel-L) in New Zealand for the treatment of graft-versus-host disease. New Zealand has also shown the regulatory approach to adaptive licensing and conditional marketing similar to other AP regions. Osiris submitted a New Medicine Application (NMA) to Medsafe, New Zealand's medical regulatory agency, in May of 2011. It was granted Priority Review in June 2011 to provide expedited review for new drugs which offer a significant clinical advantage over current treatment options. In October 2007, the Japan’s Ministry of Health, Labour and Welfare (MHLW) issued approval to Japan Tissue Engineering Co., Ltd a Fujifilm Group company to culture and sell Autologous Cultured Epidermis (JACE) for serious burns treatments in Japan. Then in July 2012, the same company received another government approval for Autologous Cultured Cartilage (JACC) to treat traumatic cartilage defects and osteochondritis dissecans for knee joints. Last year, two cell therapy products were approved, TEMCELL and HeartSheet, in Japan. In recent years, the Japanese government has made great efforts to improve the RM environment to facilitate scientific innovation by heavily implementing Regulatory Science (RS) into the evaluation of RM-based products and therapies. In Japan, regulatory science refers to the science of predicting, evaluating, and determining the quality, efficacy, and safety of pharmaceuticals, medical devices, and RM-based products, based on scientific knowledge in a fair and prompt manner. Japan has one of the highest proportions of aged individuals in the world, and cell and tissue based products were beginning to show promise for addressing the consequent health problems; however, regulatory oversight in the new field of RM was outdated and inadequate. For these reasons, the new Regenerative Medicine law, which was approved in April of 2013, directs the Ministry of Health, Labour and Welfare (MHLW) to adopt procedures that permit an accelerated clinical development pathway for regenerative medicines and living cell therapies. This is expected to fast-track therapies by focusing on comprehensive promotion of policies on RM from research and development to implementation. Japan continues its efforts to improve RM and RS environment by building a framework intended to establish a common international ground on the minimum study data required for pre-market reviews of regenerative medicine products, and forming a basic common viewpoint on product quality assurance, through the efforts of its global unit within MHLW implementing Japan’s International Pharmaceutical Regulatory Harmonization Strategy. Japan is also expecting to expand their RM efforts and to collaborate with their neighboring countries in the AP region to keep pace with the advancing regulatory science and RM technology. Regenerative medicine holds the promise for effective cures instead of mere control of chronic diseases, with additional positive implication for achieving cost-effective and affordable health care solutions by healing the body from within. However, before the true hurdle in translating regenerative medicine to market in a global sense can be crossed, the exchange of related information and the understanding of differences in regenerative medicine regulation policies among different regions must be the first step. Implementation of regulatory science can help advance the regulatory environment for quick and safe approvals of regenerative medicine, therapies, and technologies. Japan is a leader in using regulatory science for regenerative medicine advancement in the Asia-Pacific region. Regulatory science figures prominently in Japan’s overall strategic plan to advance medical products and device development. The plan includes revamping its medical products strategy in order to promote cooperation with key neighboring countries, and by achieving Europe/US-level status, become a leader in Asia for regulatory science and become a pioneer for establishing regulatory science framework in the Asia-Pacific region. 1. Cellular therapy in the Asia-Pacific region. A guide for the. Rasko, Janet L. Macpherson and John E. J. Camperdown : Cellular Therapies, 2011. 2. Hooper, Rowan. Now is the time to research Alzheimer’s. The Japan Times. [Online] April 19, 2014. http://www.japantimes.co.jp/news/2014/04/19/national/science-health/now-is-the-time-to-research-alzheimers/#.VumSkeYWJi9. 3. An Experimental Model of Regulatory Science in Asia: Center for Drug Evaluation in Taiwan. Herng-Der Chern, Churn-Shiouh Gau, Hsu-Mei Hsu Chen, Chi-chou Liao. Taipei : Drug Information Journal, 2009, Vol. 43. 4. Gaffney, Alexander. Taiwan Looks to Promotion of Regulatory Science as Way to Boost Pharmaceutical Sector. Regulatory Affairs Professionals Society. [Online] March 28, 2013. [Cited: March 24, 2016.] Taiwan Looks to Promotion of Regulatory Science as Way to Boost Pharmaceutical Sector - See more at: http://www.raps.org/focus-online/news/news-article-view/article/3100/#sthash.F2pNm3Am.dpuf. 5. Benton, Kimberly.US FDA and International Regulatory Efforts in Cellular and Gene Therapies. s.l. : FDA, 2013. 6. Asia-Pacific Economic Corporation (APEC). U.S. Food and Drug Administration. [Online] http://www.fda.gov/MedicalDevices/InternationalPrograms/Asia-PacificEconomicCooperationAPEC/index.htm. 7. Gene medicine for cancer treatment: Commercially available medicine and accumulated clinical data in China. Guangyu Ma, Hideaki Shimada, Kenzo Hiroshima, Yuji Tada, Nobuo Suzuki, Masatoshi Tagawa. Chiba : Drug Design, Development and Therapy, 2008, Vol. 2. 8. Stem cell therapies and regenerative medicine in China. Huang Sha, Fu Xiaobing. 157-161, Beijing : Science China, 2014, Vol. 57. 9. http://alliancerm.org/page/clinical-trials-products. Alliance Regenerative Medicine. [Online] [Cited: March 17, 2016.] http://alliancerm.org/page/clinical-trials-products. 10. Regulatory challenges for the manufacture and scale-out of autologous cell therapies. Hourd P, Chandra A, Medcalf N, et al. Cambridge, MA : Harvard Stem Cell Institute, 2014. 11. Park, Soo Bin. South Korea steps up stem-cell work. Nature. [Online] May 1, 2012. [Cited: March 17, 2016.] http://www.nature.com/news/south-korea-steps-up-stem-cell-work-1.10565. 12. Osiris Receieves Second Approval for Life-Saving Stem Cell Drug; Prochymal Granted Marketing Consent by New Zealand. 2012. 13. J-TEC Received Government Approval to Manufacture and Sell Autologous Cultured Cartilage JACC in Japan. 2012. 14. A, Vertes. World Stem Cell Summit (WSCS) and Regenerative Medicine Capital Conference (RMCC) . Atlanta, GA : s.n., 2015. 15. International Pharmaceutical Regulatory Harmonization Strategy, Regulatory Science Initiative. [Online] http://www.mhlw.go.jp/english/policy/health-medical/pharmaceuticals/dl/150827-01-01.pdf. 16. Regulation Policy on Tissue Engineering. Wei Liu, Jason A. Burdick and Gerjo J.V.M. van Osch,. 2015. 17. Chinese firm develops gene therapy injection. China Daily. [Online] March 23, 2004. [Cited: March 17, 2016.] http://www.chinadaily.com.cn/english/doc/2004-03/23/content_317202.htm. 18. Potential Applications of Mesenchymal Multipotent Stromal Cells. Presented at: The 16th US-Japan Cellular and Gene Therapy Conference Agenda. Bathesda, Maryland : s.n., 2013. 19. 12th Drug Information Association Japan Annual Meeting (DIA). Hihara, A. 2015. 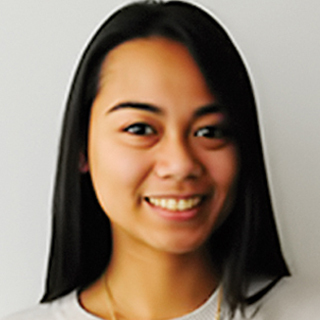 Josephine Awatin is involved in various projects with the Tufts CSDD research faculty to build a detailed understanding of clinical pharmacology, drug development and regulation. Ms. Awatin received a B.S. from Syracuse University in Biotechnology with a minor in Economics. Her prior experience includes neuroscience research that explored the molecular mechanisms that control seizure activity at Syracuse University. 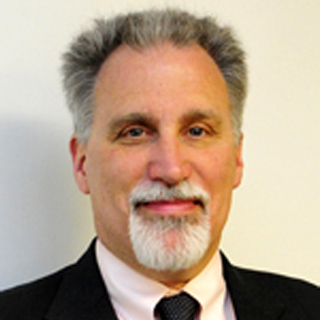 Christopher Milne joined the faculty at Tufts CSDD over 15 years ago and has published over 70 book chapters, journal articles, center reports and white papers. Currently, his research interests include: academic-industry collaborations; disease, demographic and market access factors in the emerging markets; and, tracking the progress of new regulatory and research initiatives.